Vintage Racing Club of BC | This is NOT the ‘Heavy Chevy’! This is NOT the ‘Heavy Chevy’! 14 Oct This is NOT the ‘Heavy Chevy’! Contrary to some recent rumours floating around on the internet, this is not VRCBC Vice President Dennis Repel’s “Heavy Chevy” 1974 Camaro in a clever new disguise for Vintage racing in 2012! 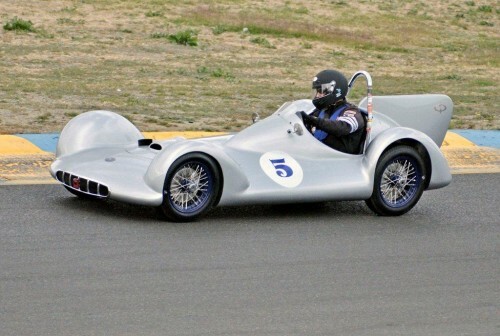 It is actually an Avia Mk3 Monoposto Streamliner, which Jim Moody photographed at the CSRG event at Infineon. According to Jim, it is a very rare Czechoslovakian race car built in 1956 by Miroslav Jurca. The car is powered by an opposed two cylinder, 4-stroke, 750cc BMW motorcycle engine. The car weighs about 900 lb. and features both front and rear independent suspension and a trans-axial gearbox. The body has a steel frame with an aluminum and magnesium skin. 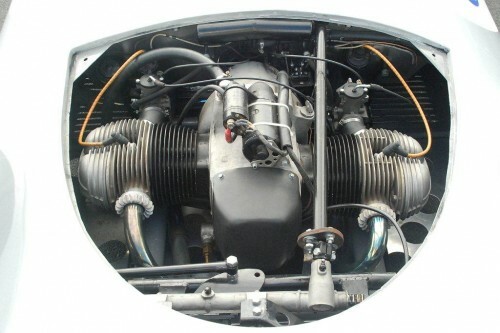 The car was restored in New Zealand and is presently owned by Mark Sange who purchased the car in 2010. There are some more photos on this web site.